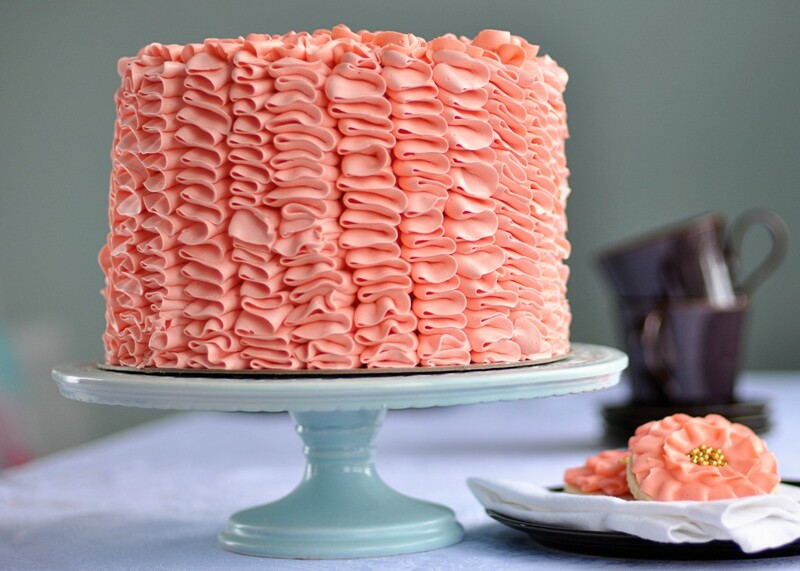 Juneberry Lane: Ruffle Cakes: Rich, Ribboned, & Radiant . . . Okay, now making this breath-taking dessert may be a tad bit on the challenging side for you and you may need a practice cake or two before unveiling your lovely creation at your next big shindig or shower, but when you're result is something this divine, then it has to be worth the extra effort, right? 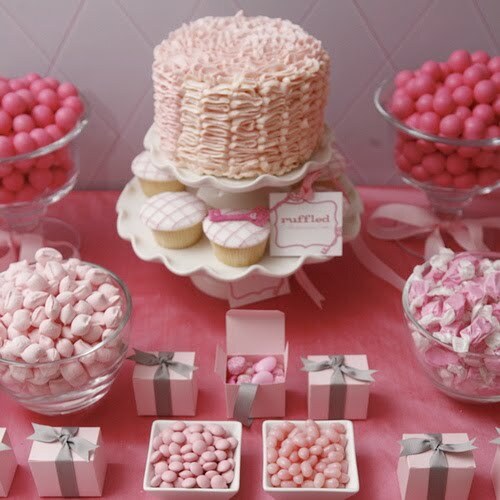 See that lovely pink confection stealing the show in the middle of this stunning dessert table? 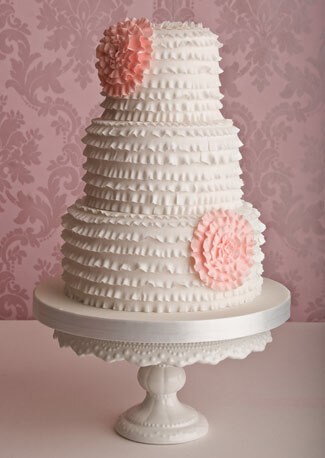 Well that, my friends, is a Pink Ruffle Cake. 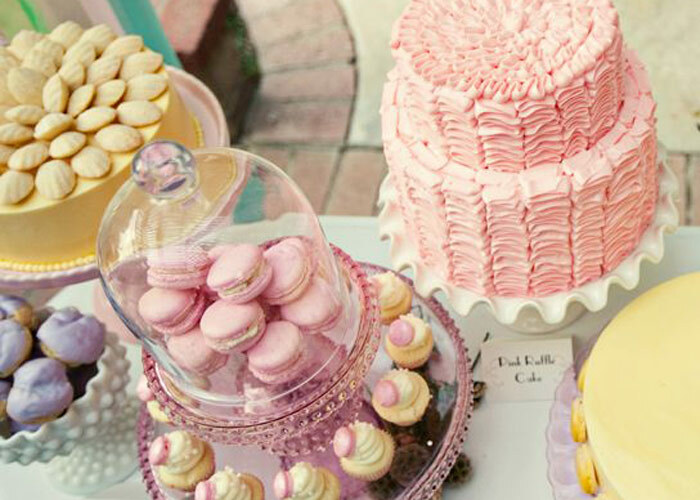 And I can't think of a better crowd pleaser for your beautiful shower or birthday party dessert table then something quite as gorgeous as this . 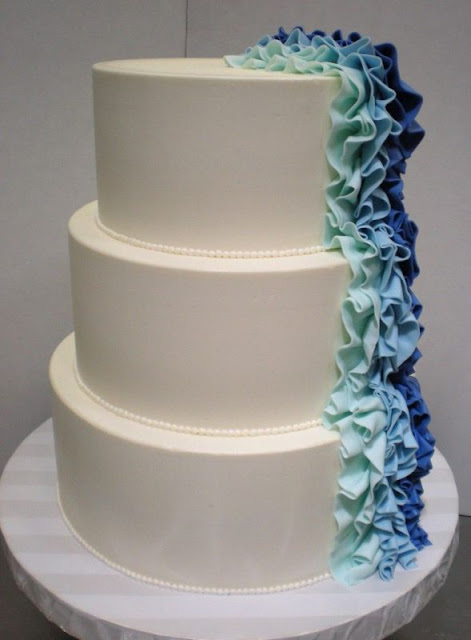 . .
Why not make it in blue? 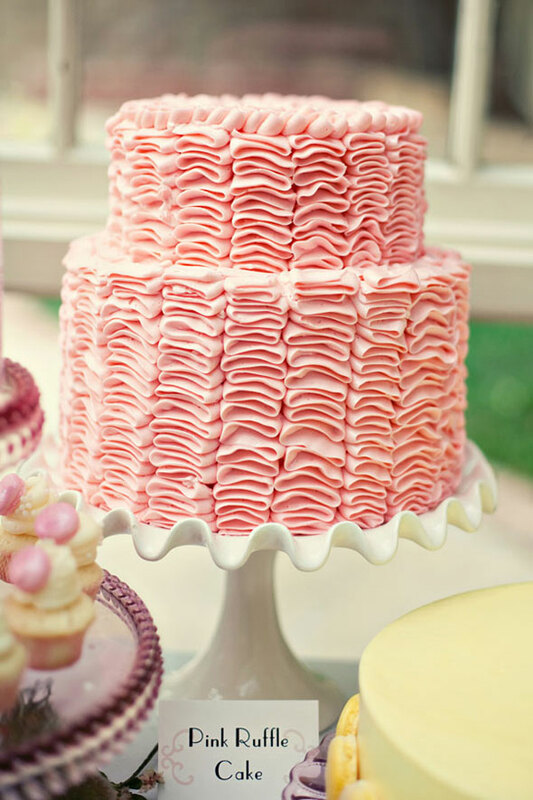 Or a wedding cake or two? 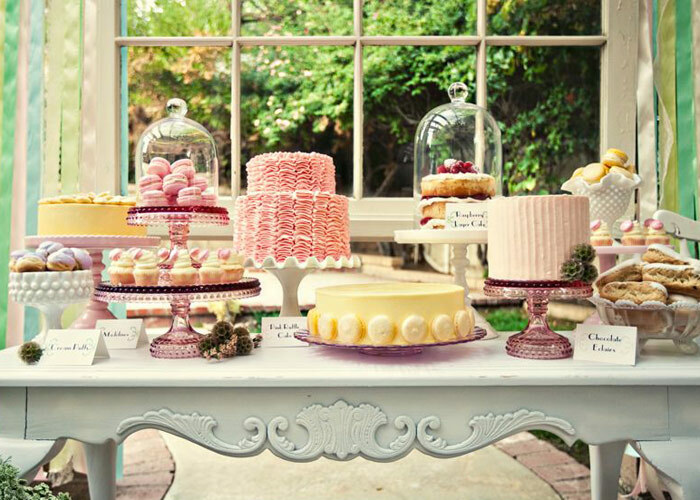 A cake this beautiful just absolutely 'makes' the dessert table, don't you think? Absolutely LOVE LOVE LOVE these cakes!!! These cakes would be absolutely perfect for a sister's bridal shower someday...HINT, HINT, HINT!!! 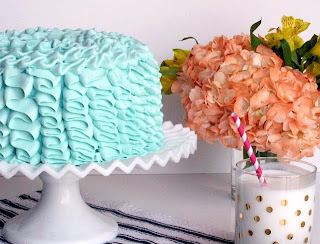 very beautiful creations...thank you and keep up the wonderful inspirations!